I just got this adorable card from my Aussie Buddy Julie. 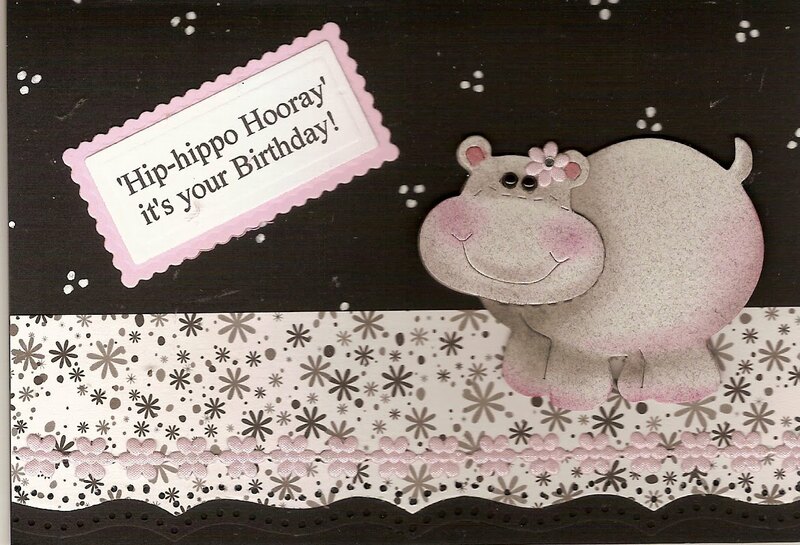 I had surprised her with this Sizzix Hippo Die and in return she made me a Hip-hippo Horray card using a product called Action Wobbles. You mount the "wobble" behind the hippo body and she now wobbles and/or shakes. Isn't she cute? LOL Donna, I was just about to say 'How did you get my photo?' I wibble and wobble without any help!